Now, I have to admit that staying adequately hydrated is not something that I’ve ever thought of as a fun time. This app definitely changed my mind. 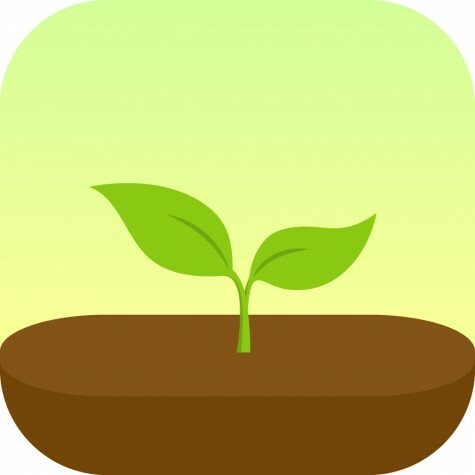 Plant Nanny has is based on a very simple concept: you drink a glass of water, record it in the app and get to water a virtual plant. The more you drink, the more your plant grows! It feels surprisingly rewarding. After you download the app, it prompts you to set it up with your personal stats: weight and activity level. You can opt to get push notifications with a reminder that your plant is thirsty – and you probably are, too. Personally, it really helped me be mindful about how much water I was drinking. I’ve been pleasantly surprised by how much better I feel after making such a simple change. My number one favorite thing about Plant Nanny is that it is hands down adorable, but it sure doesn’t hurt that it’s so darn helpful. It’s like a tamagotchi, but it’s useful and it’s cuter! This app + a water bottle + the water bottle station = a healthier you! This is my favorite combination of apps by far, I’m constantly going between the two. Although both offer lots of other things , I mainly use Goodreads to find books that I want to read and the hclib app to get to the books. I’ve always been a reader, but earlier this year I realized that I’d barely been reading for fun at all. It was a goal of mine to read more; these apps have been essential to fulfilling it. 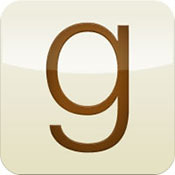 Functionally, Goodreads focuses on helping users track the books they’ve read and the books they want to read. It is free, visually appealing, and easy to use. When you look up a book on Goodreads you can see reviews by other readers, see an average rating, and get recommendations of other similar books you might like. All these options offer great ways to judge whether or not you’d like to read a book and find books that you might never otherwise consider reading. After I find a book that I’d like to read, I turn to our (surprisingly high tech) local library. The Hennepin County Local Library has a free app and it’s incredibly convenient. It’s a little tricky to learn to use, but once you get the hang of it, you can connect with your library account. I like the app for the convenience of quickly checking due dates, but I love it because I can request to have books sent to my library to pick up as soon as I decide I want to read them. It’s pretty counter-intuitive to say that you should download an app to help you stay off your phone. but let me tell you, the closer we get to finals the more essential this app is to my academic survival. Here’s what you normally do: you sit down to study. Check Facebook, Instagram, Twitter, Snapchat. Read a few pages. Your phone vibrates – a notification. Check Facebook, Instagram, Twitter, Snapchat, Facebook again. Here’s what you should do: you sit down to study. You open Forest. You study. Forest rewards you for staying focused and keeping the app open by giving you seeds to plant. The longer it’s open, the longer you concentrate, the more the tree grows. If you close the app to indulge in some social networking, the cute little tree withers and dies. If you stay focused, concentrate, and get your work done you can see evidence of of productivity in the form of a forest full of healthy trees. This is the only app on this list that you have to pay for, but beating phone addiction just might be worth it.